“What made you want to become a therapist,” is a question I have often been asked. My answer is simple: I have always had a genuine interest in people and the things that make us human. The way we think and our capacity to learn and grow all throughout life inspires me to help others. I became a therapist to help people resolve their distress and live happier, more balanced lives. I truly love what I do and feel grateful to be a part of each client’s journey. Everyone has strengths and talents. With guidance and support, you can discover these strengths and build upon them to solve the problem areas where you might feel stuck. My style of therapy is warm and supportive. However, I am not a therapist who simply listens and nods. I get involved not only by listening and understanding, but also by providing feedback, suggestions, challenges, and sometimes assigning things to practice outside of our therapy sessions. Luckily though, it’s not always all seriousness as we oftentimes find humor and laughter in the things we are working on. To make sure you are getting what you need from therapy, I will check in with you periodically to see how things are going to make sure we’re heading in a direction that is helpful to you and your goals. I have a Master of Arts Degree in Clinical Psychology. 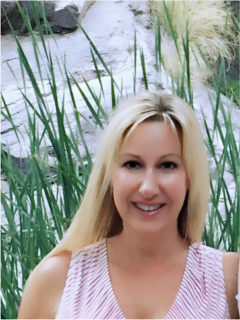 I am licensed to practice in the State of California by the Board of Behavioral Sciences (BBS), as a Marriage and Family Therapist (MFT), (License #98848). I am a clinical member of the California Association of Marriage and Family Therapists (CAMFT). In addition, I hold a grief and loss counseling certification; certified Prepare/Enrich facilitator for couples counseling; Level I & II Gottman Method couples counseling; Certified Anger Management Specialist II; EMDR trained for trauma therapy; as well as staying current through continuing education.